Jenn Monroy a.k.a. “Jenny Foor” is a Florida native who graduated from Florida Atlantic University with a Bachelor's degree in Sociology and Psychology. My heart and soul belongs to children of all ages and backgrounds. My greatest wish is for children to be liked and loved by their peers and those who care for them for who they are on the inside and for what they bring to this world. Physical traits should not matter and children should be encouraged by the community to be proud of where they come from and be proud of any “special” traits they have. All children deserve the opportunity to shine and rise to the top of their class and be friends with whomever they wish. If in the end that person chooses not to be their friend then that is their loss, but each child in this world needs to be proud of the “special” person they are! God made each of us just the way we are for a specific reason! 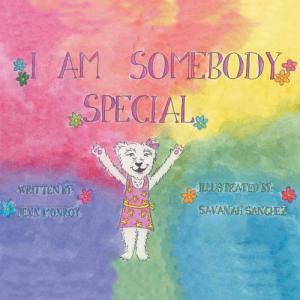 May God bless each and every one of you… young and old and always remember … I Am Somebody Special!